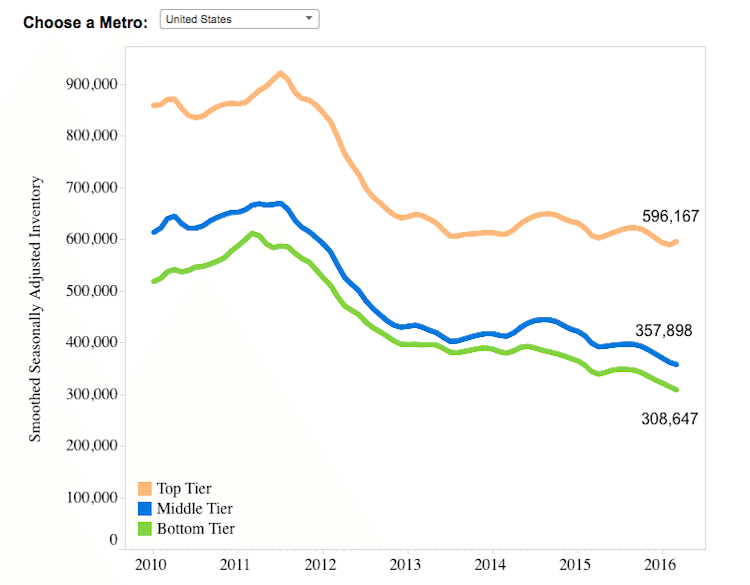 Like other large metros, New York City experienced a drop in inventory for bottom and middle-tier homes (though not quite as steep) with 9 and 3.6 percent drops during the first quarter of 2016, but it also saw a 4.7 percent increase in top-tier inventory. 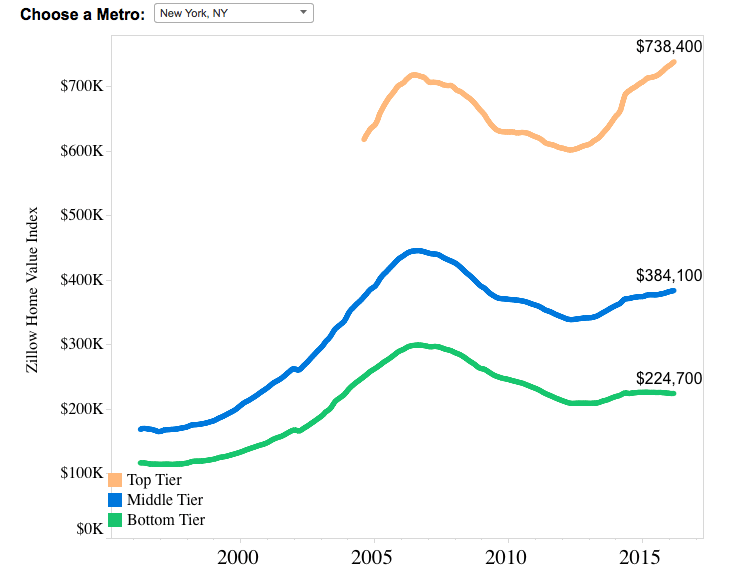 NYC’s home values in the top-tier category remain an outlier compared to other markets, carrying an average value of $738,400 in the first quarter after a 3.5 percent increase. The middle-tier also rose in value at 1.8 percent, but bottom-tier homes slightly dipped 0.8 percent. 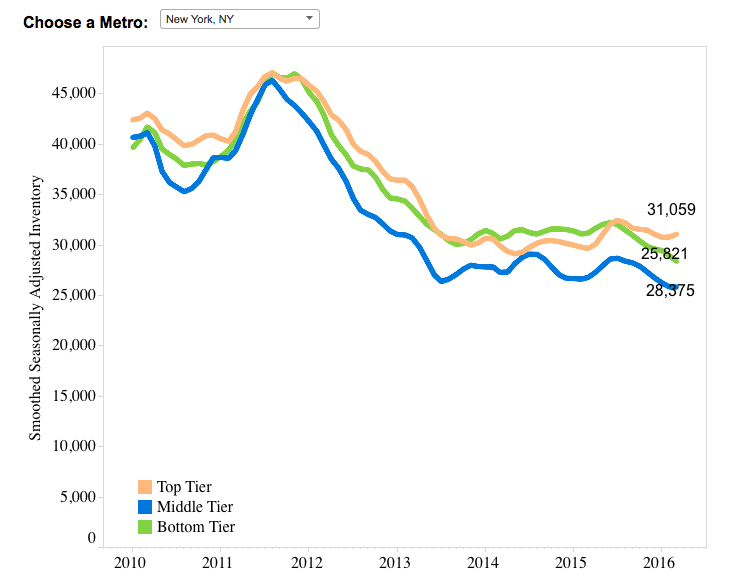 Spurred by continually rising values in top-tier homes since 2014, NYC metro home values remain well above the national average ZHVI of $186,200, at $384,10.However, the value is still below Boston’s average of $387,400, and nowhere near the $806,600 average in San Francisco.